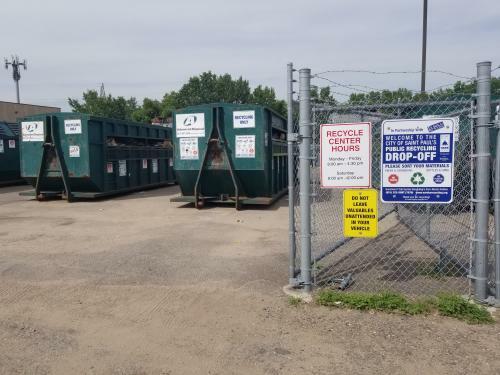 Saint Paul’s recycling drop-off center is hosted by Advanced Disposal. All Saint Paul residents and small businesses can bring sorted recycling materials to the drop-off for free. Look for the large containers to the right of Advanced Disposal’s entrance. Note: Advanced Disposal also accepts other materials, including brush, tires, appliances, and electronics, for a fee. Call Advanced Disposal at (651) 487-8546 for more information.